As senior manager for Training and Sales at EL Saber, Jennifer brings a love for training and coaching teachers of struggling learners, from long-term ELs to newcomers. 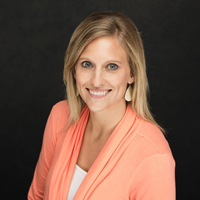 She has a passion for equipping teachers with knowledge and strategies to boost the motivation and success of all students through interaction, rigor and intentional language development. Through her ongoing research and personal training with experts such as Dr. Norman Webb and Dr. Jim Knight, she has collaborated with districts to design solutions specifically to meet their needs through coaching and professional development. She has also authored curriculum to build language and oracy in newcomers. Along with her husband and son, Jennifer likes to spend her free time bike riding, running, or doing just about anything outdoors.